That yarn is beautiful! I think it coming along nicely! I still want to pick up that book, but haven't made it to the library to look yet! I love the color you are using for your cardigan. It seems that we think alike. I am reading the third book of the Midwife series and also knitting a sweater. 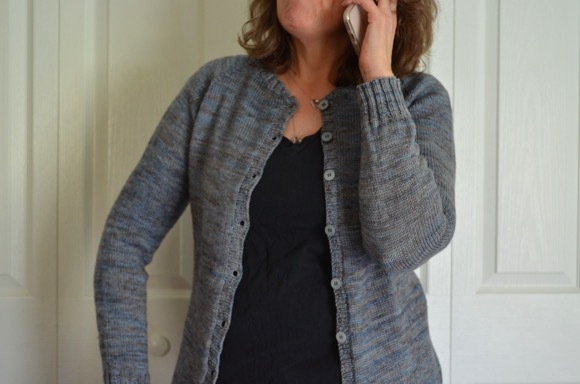 Your cardi is certainly coming along Karen - can't wait to see it finished. I think I am going to order that book through the library - looks interesting. I'm echoing everyone else...that colorway is so lovely! I adore it. I have to confess that when all my friends got on the 'Call the Midwife' craze I dutifully watched the first episode and really didn't get into it at all. Maybe I should try at the book first and then see how I feel. It's been a huge disappointment to my friends, since we are usually all in on things like Downton Abbey and the like, and they can't talk 'shop' with me about this one! 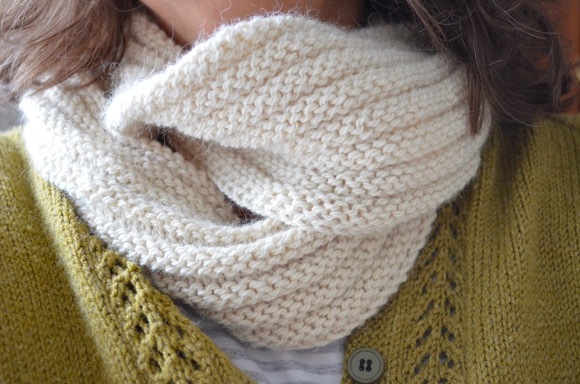 really pretty, I checked it out on ravelry and put it on my wish list! Alas, I'll not be checking out what Karen calls advanced for a long time... Dare I say again, "love the color"! looks like it will be very lovely karen! I still love the colourway! LOVE LOVE LOVE! Sometimes plugging away is the best way. Your cardi is so pretty and I love the colour! lovely colors. i love knitting with folks. you learns so much. cant wait to see the finished cardi! my husband will never forget the smells of birth. i think it scarred him! Beautiful color for your sweater, the design is really sweet. I agree about knitting in groups, there aren't too many hobbies or activities that fit that description! I wish it was socially acceptable to knit in church, since I find I have an easier time listening and processing when my hands are busy with a repetitive motion! I love the purple you!ve chosen for your sweater. That purple colorway is beautiful! just added that pattern to my favorites because, a girl can NEVER have too many cardis, right? You will LOVE how it fits, It is THE perfect construction in my opinion. Love the Tosh! So pretty!! I love the pleats on the side seam. It does look a really good fit on all the models. I want to read that book. I have watched a couple of episodes of the PBS show and it is pretty good so I think I would like the book. I love the color or your knitting project! Your cardi is looking gorgeous. The colour is beautiful. Pretty design with those clever features. That is some seriously pretty yarn, can't wait to see it when it is done! Still reading Clan of the Cave Bear. We are I the home stretch of the school year, and I feel I'm gettin zero accomplished! Thanks so much for stopping by for a visit...please come again soon. My sister asked me if knitting in company was allowed and I said absolutely...then I had to qualify that statement by adding uncomplicated, non-cussing, pay attention to the conversation knitting was allowed. At that particular instance, I don't think that was the answer she was looking for....Oh well. Isn't that an interesting book? I love the details that are missing in the TV shows. Seems like somewhere I saw that there are 2 more books in the series. Love seeing your knitting projects and other photos.